Ultimately, your home only gets one chance to make a positive first impression on homebuyers. If a home seller dedicates the necessary time and resources to update a house&apos;s interior and exterior, he or she may be able to increase the likelihood of a quick home sale. To improve a house&apos;s interior, it is important to declutter as much as possible. Remove any non-essential items from a home; these items can be sold at a garage sale or online or put into a storage unit until a home sells. Furthermore, to enhance a home&apos;s exterior, a home seller should mow the front lawn, trim the hedges and perform assorted home exterior maintenance projects. With a dazzling home exterior, a home seller can help his or her residence stand out from other available houses. Examine the prices of available residences that are similar to your own. Also, take a look at the prices of recently sold houses in your city or town. With this housing market data in hand, you can understand whether you&apos;re preparing to operate in a buyer&apos;s or seller&apos;s market and price your residence appropriately. During a home appraisal, a property inspector will assess a house&apos;s condition. 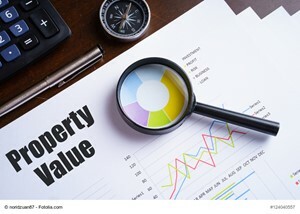 After the appraisal is finished, this inspector will provide a homeowner with a copy of a home appraisal report. A home appraisal report offers valuable insights into a home&apos;s condition and enables a home seller to prioritize myriad home improvement projects. As such, the report may help a home seller find ways to enhance a residence before he or she adds it to the real estate market. Lastly, if you&apos;re looking to list a house in the foreseeable future, working with a real estate agent is key.